The transition from diesel to renewable energy affects the majority, if not all industries in Australia. Bus and coach transport is no exception, but where are we in ‘turning the corner’? 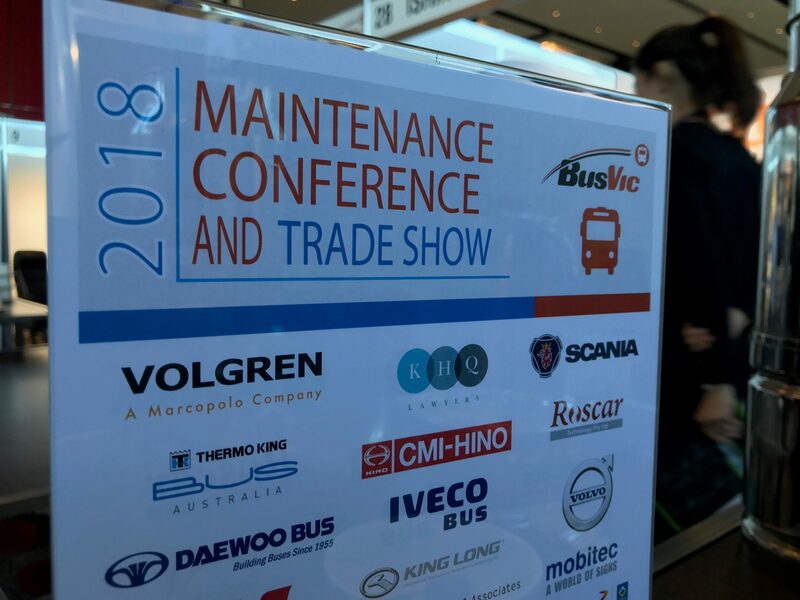 The 2018 BusVic Maintenance Conference and Trade Show held at Pullman Albert Park Melbourne on 2 and 3 July 2018, touched on many contentious topics affecting the bus industry. Recognised as the industry’s leading exhibition, conference and networking event, BusVic’s 64th Maintenance Conference and Trade Show couldn’t be unresponsive to the transition from diesel to renewable energy that is happening in Australia. According to the studies done by Dr Robbie Napper from Monash University, 38% of Australia’s energy consumption comes from oil. 27% of that energy is used in transport, and there are no signs of those numbers decreasing in the nearest future. “Because of the nature of our country, we may have to carry on with diesel for a bit longer,” believes Napper, one of the speakers at the 2018 BusVic Maintenance Conference. This perspective may be a bit concerning if we compare Australia to other countries, which set the bar high. “Majority of European cities will have no diesel powered buses by 2025 and no more hybrid vehicles by 2030. There, the demand for quick transition comes from top down. In Australia there is no push for a change, until the cleaner cities become an issue,” compares Dr Robbie Napper. Currently, it is impossible for battery powered buses to compete with buses running on diesel. Diesel has a very high energy density, which allows to fill up the bus tank in the morning and drive the bus around the city for the whole day with no need to be concerned about the energy. Batteries have 1000 times less energy density than diesel. Carrying a single charge battery on a bus means no room for the passengers. The changes that the transition brings can also create new business opportunities. Efficient bus operation and smart charging can save the energy (even up to 70%) that can be stored and sold. What is more, companies that currently supply the conventional energy, are interested in providing the alternative batteries. “There is a sense of transition,” reassures Napper. So when will the transition be completed? “If we stop selling the diesel powered buses in 10 years, they will last for another 20, what means using diesel around until 2050. Hybrids will be here for extra 20 years. The full transition will be done by 2070“, foresees Napper. Thermo King Bus Australia is the forefront of the changes, with approximately 15 full electric Thermo King units currently in operation and more energy-saving technologies being trialled before being rolled out in Australia.